According to the International Organization for Migration (IOM), from June 29 to July 1, more than 200 "refugees" perished in the Mediterranean off the coast of Libya, "the total number of migrants drowning this year exceeded 1,000 people." In addition, the Libyan Coast Guard intercepted and returned to Libya more than a thousand migrants trying to get to the shores of Europe before the more violent measures to control the crossing of the Mediterranean become effective. 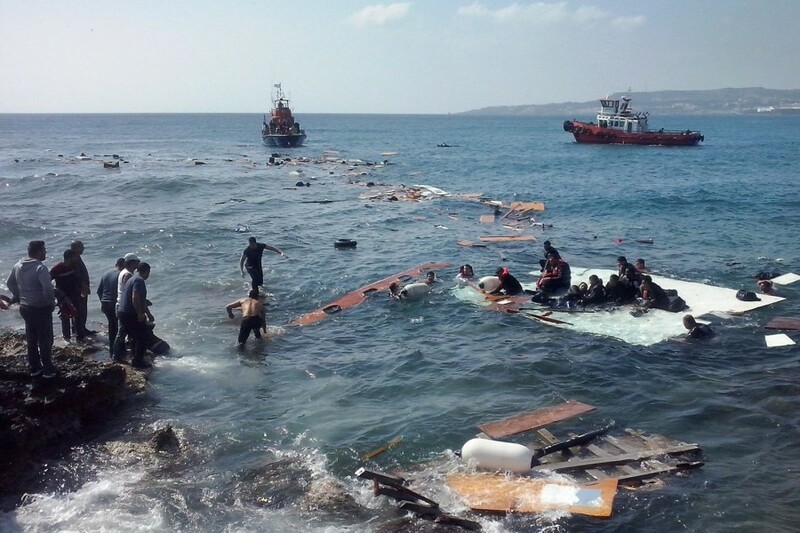 One can not be a visionary to assume that the emergence in the world media of compassionate and tragic photos of drowned children - touching, in good clothes, the same as those that appeared in 2015, when Europeans tried to limit the migration flow from Turkey to the Greek islands and further in the heart of Europe. According to critics of the "human rights mafia" operating on grants of the American "patron" George Soros, helping globalists and Islamists flood the EU with millions of migrants mainly from Muslim countries, unfortunate children were taken from the few families of real Christian refugees and stoked. To professional photographers could make their terrible photos, the purpose of which is to psychologically influence the population of Europe. To inspire people with the false idea that it was because of their callousness and indifference that the lives of innocent children were tragically cut short. And prompt the conclusion: well, open up your doors to the new population of Europe, which globalists and Islamists have their own plans for. The current publications of IOM and illegal NGOs working for illegal migrants are clearly aimed at compromising the new Italian government, which categorically refuses to let the ships of the country ship "human rights defenders" who arranged for the "illegals" a real "taxi" between North Africa and Italy. Here, they say, children die because of Italian cruelty and the lack of humanism, their awful "populism" and "nationalism". In the process of illegal migration, not only people die. International groups such as the European Union are giving cracks, within which, for the most part, an autonomous Visegrad group was formed (Poland, Hungary, Czech Republic, Slovakia). Or agreements - such as Schengen or Dublin, the last of which does not work anymore. Relations between the EU countries, once good neighbors, like Austria and Germany, between countries that are trying to combat illegal migration, such as the Czech Republic or Italy, are collapsing. Of course, the governments of these countries are of course in the first place. Moreover, there are conflicts and splits within individual EU countries, political parties and the population of which are divided in their attitude to "refugees". After all, in Europe there are still enough idealists and naive people who - from the submission of the mass media subordinate to globalists - see in the economic migrants (most of them are adult men) victims of "bloody regimes", "refugees". An example of how migrants are able to embroil European countries can serve as the recent squabble between Italy and France and the beginning of the rejection between Germany and Austria. Austria will not conclude agreements with Germany on organization of transit camps on the Austrian-German border for the rapid expulsion of migrants, Austrian Chancellor Sebastian Kurtz said. At a press conference in Vienna, Kurtz stressed that Austria is ready to respond by national measures to the actions of the FRG. "We are definitely not ready to conclude agreements to the detriment of Austria." In addition, the Austrian authorities announced that they are ready to take their own national measures to protect the southern border from the flows of illegal migrants. This was done after the leaders of the two "Christian" parties Angela Merkel and her Minister of the Interior, Horst Seehofer, agreed to create migratory centers on the border with Austria. Legally, they will not be in Germany, so unwanted migrants will be deported from them without unnecessary formalities. There they will promptly check whether migrants have the right to seek asylum in the Federal Republic of Germany. Most of them, who do not have it, will send from these centers to the countries through which these people entered the EU and where they registered, or at all to their homeland. And if Greece and Spain have so far agreed to take back their "own" "refugees", Italy does not want to do so. In this regard, the Austrians fear that the "Italian" migrants will begin to accumulate in their country. According to official data, from January 1 to the middle of June in Germany were 18 thousand 349 migrants, fingerprints which are available in the card file EORODAC. This means that every day in Germany penetrates 110 people registered in other EU countries. And this number at any time can radically increase. The problem also lies in the fact that border control actually operates only on three of more than 80 transitions and road crossings from Austria to Germany. The border in the "green zone" is also not protected. Now this "paradise" will gradually disappear into the past - together with the Schengen. And many Europeans, who were happy at the time of its appearance, will part with the conveniences of crossing borders within the EU without regret. If they know that this will make it difficult at the same time to cross them by illegal migrants, who sit on their neck financially, terrorizing them and have already deprived them of their habitual way of life. The "compromise" deal on migrants between Merkel and Seehofer scandalized not only Austria, but also the political parties of Germany. As part of the government as a junior partner, the Social Democratic Party of Germany (SPD), favorably referring to migrants, seeing in them a new "proletariat" and their future potential voters, noted the various shortcomings of the deal and promised to carefully check everything. Earlier, the SPD rejected the idea of transit migration centers, calling them "prison zones" and the violation of humanism. The party also draws attention to the fact that in the coalition agreement, on which the fourth government of Merkel is based, such measures are not envisaged. The leftist party calls the transit centers "internment camps" and believes that the SPD will "give a bad sign" if it agrees to support the deal. Leading opposition party "Alternative for Germany" (AfG) calls Merkel's agreements with Seehofer "an empty compromise", which aims to "simply provide the law", which should be done automatically, without any additional agreements. The German public was divided in its attitude to the plans of the CDU / CSU to limit illegal migration, although Merkel and Seehofer are mostly scolded. Someone blames for the "betrayal" of "European values", someone for the indecision and half-heartedness of this measure. Moreover, there are doubts that Merkel will not sabotage the deal. Of course, she will. Therefore, all the "deals" and "compromises" of recent days have more to do with imitation than with something real, which means only one thing: the outcome is close. For German politicians, for Germany, for the whole Europe.